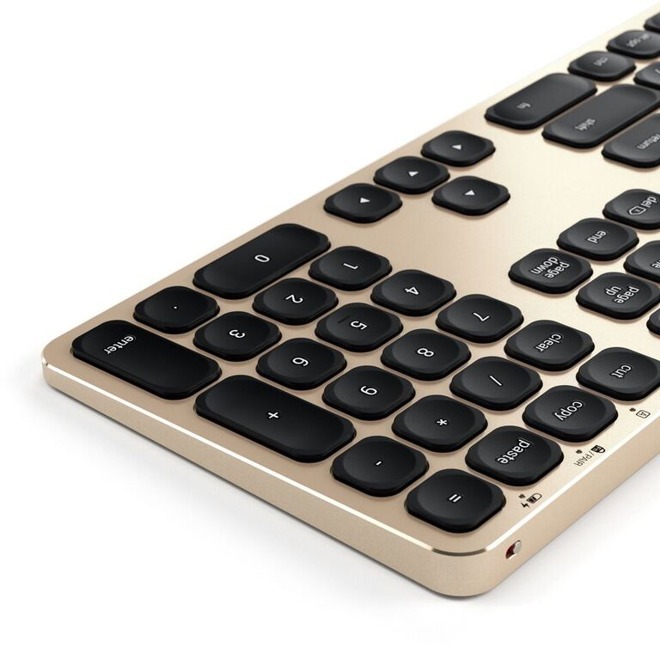 Both sport an Apple-like aluminum chassis and a complete layout, including a numeric keypad. Satechi also touts "responsive" scissor-switch keys, and Mac-specific function keys for media playback, switching apps, and controlling brightness. 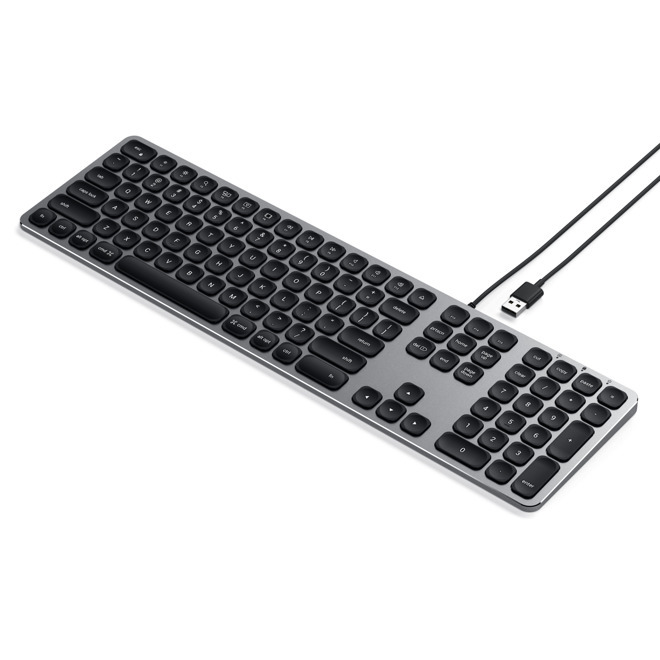 The Aluminum USB Wired Keyboard comes with a USB Type-A cable. 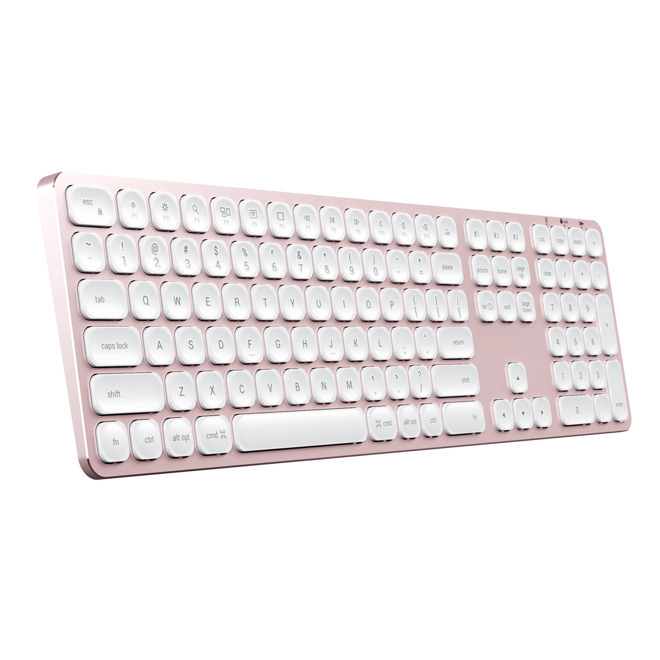 The Aluminum Bluetooth Wireless Keyboard features a USB-C port, but just for recharging its battery, which supports up to 80 hours of active use or 100 days of standby. The two keyboards are available today in silver for $59.99 and $79.99. Three iPhone-themed colors — namely gold, rose gold, and space gray — can only be preordered, but should be ready by the end of September.